Broken homes, child abuse, bullying, violence in movies and television, violent video games, bad genes, God, Satan, missed signs and symptoms, failures of the system, an inability to communicate and the easy availability of destructive devices. Each of the listed ‘enablers’ is a topic for extended debate on its own. I’m also leaving out radical, issue-based terrorists like the McVeigh type of politically motivated psychopaths, and merely asking: “What motivates, enables and activates a ‘seemingly ordinary’ person to commit mass murder in a theater, shopping center, school, or anywhere else for that matter. These tragedies have no single cause. Most people grow up and live productive, law-abiding lives in spite of suffering one or more of these traumatic situations, events or misfortunes. This is the first time in history, however, when all of the listed factors, many of which did not exist in the past, could descend upon an individual in a “perfect storm” of psychological collapse. What if a common factor between some of these killers is their individual perfect storm of causes, circumstances, enablers, and events? What if breaking just one link in the chain could have prevented the storm and its destructive aftermath? The availability of guns and other destructive devices is one of the factors least likely to change the outcomes. If a crazy person wants to wreak absolute havoc, with maximum shock value, they don’t need a gun or even a bomb. Imagine the destructive power of a couple of One Gallon Glass jugs of Gasoline with oily rags stuffed in the top and a Bic lighter. If you think shooting innocent children is as low as it can get, wait until someone burns them alive. I will not apologize for painting such an ugly picture. In the real world, things so horrible that we don’t want to imagine them, can and do happen. Parents — relax. As mentioned in another article a U.S. K-12 School is statistically the safest place your child can be. Since we’ve just demonstrated that the device or tool used to commit a planned atrocity is not causative, but enabling, and there is no also practical or realistic way to eliminate them from the environment, I’ll move on to another possible link in the chain. An interesting symbiosis exists between the Video Game industry and the Military Industrial Complex. Almost all of our Military Grade trainers and simulators began their lives as video games. Microsoft’s Flight Simulator game laid the foundation for commercial trainers and simulators. If you add a realistic set of cockpit controls the experience feels realistic, but far from real. Regardless of how focused a “pilot” may be, the experience never loses a simulated feeling. You don’t look up from the instrument panel of a real aircraft and see people standing by a water cooler, for example. Plus, a real pilot can’t put a flight “on hold” until the next morning. At some point, the line between reality and simulation disappears. That is a primary goal for the simulation designer. 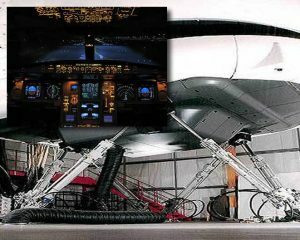 Thanks to a lot of money, computing power, and full-motion hydraulics, commercial flight simulators are sufficiently authentic that many simulator-trained pilots can be ready and able to go wheels-up, never having being inside of the actual aircraft. But our government is able to take it to the next level by the application of massive amounts of money, black budgets, expertise and hardware to die for. 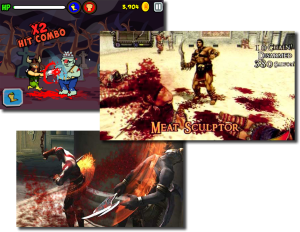 Some of this stuff makes World of Warcraft look like Mario Brothers by comparison. Sorry gamers, even if you could afford the hardware you’ll have to enlist to get to play with any of it. Or, if history is any indicator, you can just wait for it to hit the commercial video game market in a year or so. The video game industry may be unwittingly (I hope) doing what the military has to work hard to do on purpose — de-sensitizing new recruits to the horrors of the battlefield. The Film and Entertainment industries appear to be doing the same thing, and I have fewer doubts that theirs is purposeful. More on that in another article. A Clandestine View from the Inside? I won’t and can’t go into the circumstances, but I might have had occasion to spend a bit of quality time with some of our most advanced computerized warfare simulations, and to meet some of the exceptional brains behind them. After having a few lights turned on in my head by these most impressive people, I see some video games in a completely different light. I certainly gained some serious insight into the effectiveness of ultra-real simulations as a psychological conditioning tool. Theater of War simulations are massively complex, use an enormous amount of classified data and imagery and are frankly, no fun at all except for possibly a few Intelligence Analysts. Tactical Weapons Simulators – Fun Squared times Ten! The Tactical Weapons Simulators were the fun ones for me. These are simulated Aircraft, Tanks, Carrier Decks, and Submarines. Tactical Weapon’s Simulators give a student operational familiarity with a machine or piece of equipment before turning them loose on the real thing. These machines are so authentic and immersive that the initial Period for Virtual Acquisition, (PVA) the time it takes for a new subject to effectively disengage from the real-world and become immersed in the simulated environment, can be as few as 10 Minutes, with an average full disengagement and immersion time of Twenty-Seven. In layman’s terms: “PVA is the amount of time from the beginning of the simulation until the subject gets so focused that they forget it’s not real.” The PVA continually declined and dissociation was almost immediate for future experiences in the same simulator. Close Combat Training Simulators (CCTS)– These are eerily disturbing and not just a bit creepy. One I got wrapped up in was bad dream kind of creepy. 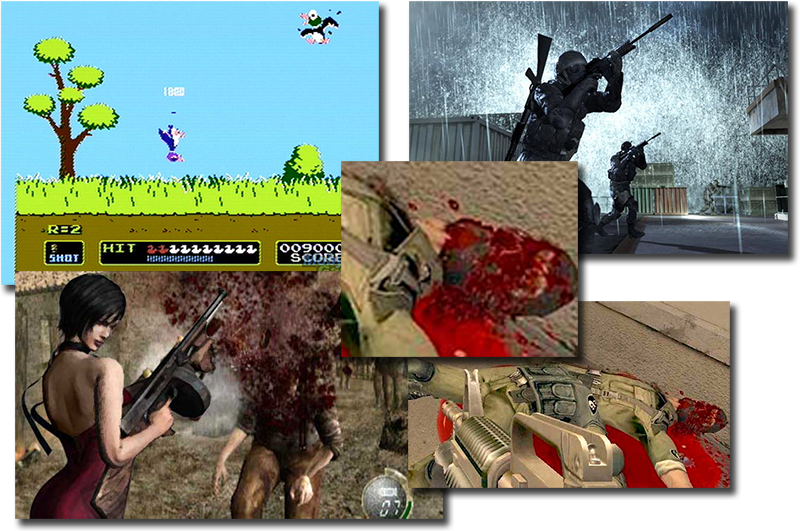 First-person shooter games are among the most popular on the market, and also the most similar to the military CCTS. CCTS are visually and psychologically engineered to hone the cause-effect, action-reaction habits. The CCTS, serve another, less publicized, less popular and just as necessary task – decreasing reaction time by desensitization. Here, the reality is not only depicted, it is enhanced. The desensitizing role is where the Psychiatrists and Psychologists come in. Those of us who have seen unfriendly fire know that stopping to think, especially about the poor wife and orphaned children of the person in your sights will kill you. When you are properly trained and practiced, the entire thought process is an almost instantaneous friend or foe/fire reflex. Little to no conscious thought is involved. Since most of the time the target will be assumed to be a foe, the identification process happens in microseconds, followed by a pure muscle-memory squeeze of the trigger. The key tools used in the desensitization process are Reality, Repetition, and Reflex. 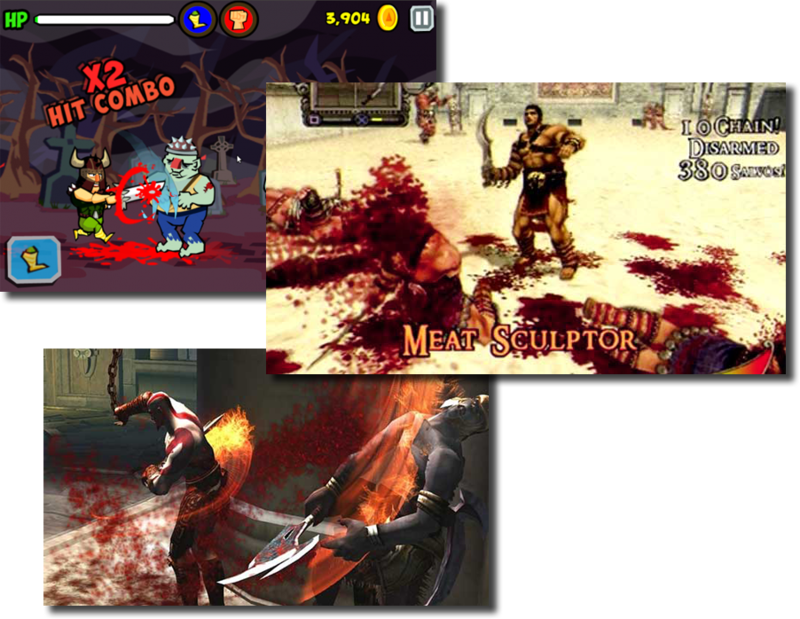 I’d have to give the Close Combat Trainer/Simulators that I may have seen a solid Six out of Five stars on each. If I was ever going to have any lingering flashbacks, these things would have brought them back ten times over. All I will say, and probably more than I should, is the experiences were intense, loud, disorienting, brutal, very gory, and very, very real. After a few minutes behind the console, I could literally feel the Adrenaline and long dormant fight/flight and survival training stirring. Unfortunately, by my age, one survival factor, reaction time, turns up its little legs and dies, as I frequently did in many of the simulation runs. In concert with actual real-world based training and exercises, I can easily see how these psychological conditioning and training tools would be well suited to their purpose, as disturbing and yet necessary it may be. Whether playing cops and robbers, Army, or the far less politically correct game of cowboys and Indians, children must use their imaginations. Whether their toy weapons are super-realistic replicas, or pointed sticks and fingers is irrelevant. Today’s video simulations, (I now hesitate to call many of them games) require little if any creativity or imagination on the part of the player. New developments in 3D and sound technology promise to make these games as immersive as possible, further disconnecting the player from the world around them. When immersion occurs, the rules, laws, and morals of real life are replaced by those of their virtual world, be it World of Warcraft or Grand Theft Auto. Mastering these simulations demands fast reflexes, muzzle and situational awareness, development of muscle memory and eye/hand reflexes, strategic and tactical planning skills, and the ability to pull triggers or unleash violence without thought or hesitation. These are the same qualities that the military wants to develop in their soldiers. Children normally develop these important skills from a balance of sports, thinking games and diverse play with other children, but without the closely connected, virtually real, killing experience. Note: You may have to drive out into the “country” to see children having this much fun playing politically incorrect games. If you do stop to watch some country kids playing, however, it’s advised that you let the locals know that you’re not a pervert first. You’ve been warned. This is the state of mind that governments endeavor to induce in soldiers, snipers, assassins and spies when training them to kill without conscious thought or hesitation. I don’t suggest that violent video games are the problem, or create any problems in themselves, but they could be an indicator, if not a critical link in the chain of violence. 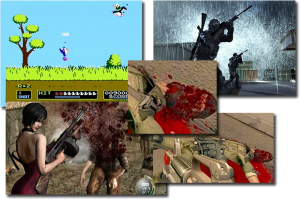 In combination with other stressors and motivators the, desensitization effect of violent images in movies, television, and the very real brutality in the daily news, these games do form a logical target for study. Whether exposure to simulated death and destruction makes it easier for a killer to pull the trigger or not, can’t we all agree that there needs to be some serious study of the effect (if any) of continued exposure to simulated violence performed by independent researchers, outside of the government.